Since recently sharing out tips from the gardening section of Mom’s cookbook I’ve realized that you never know where a surprise might be hiding in her treasure chest of recipes. This recipe had no name but reading the instructions peeked my curiosity so I decided to dive in deep and make it. I didn’t know what “bluing” was but after a few quick online clicks I landed at this site that solved the mystery. We’re gonna make our own magic crystal garden! Back in my day, “fun” wouldn’t have cut it by today’s standards. There were a few truly fun things that broke through the mundane sea of insanity. In walks magical fun with the likes of Sea Monkeys, Ant Farms and the super melty fun of Shrinky Dinks – these were some of my childhood favorites. I do remember seeing my first crystal garden – it wasn’t mine but it was just as cool. I read on Mrs. Stewart’s liquid bluing website that making salt gardens became popular during the Great Depression. So much so the creations are often referred to as a depression flower or a coal garden. Good times! Let’s get to crystal gardening! ❤ You’ll want to secure your bluing before making this garden. 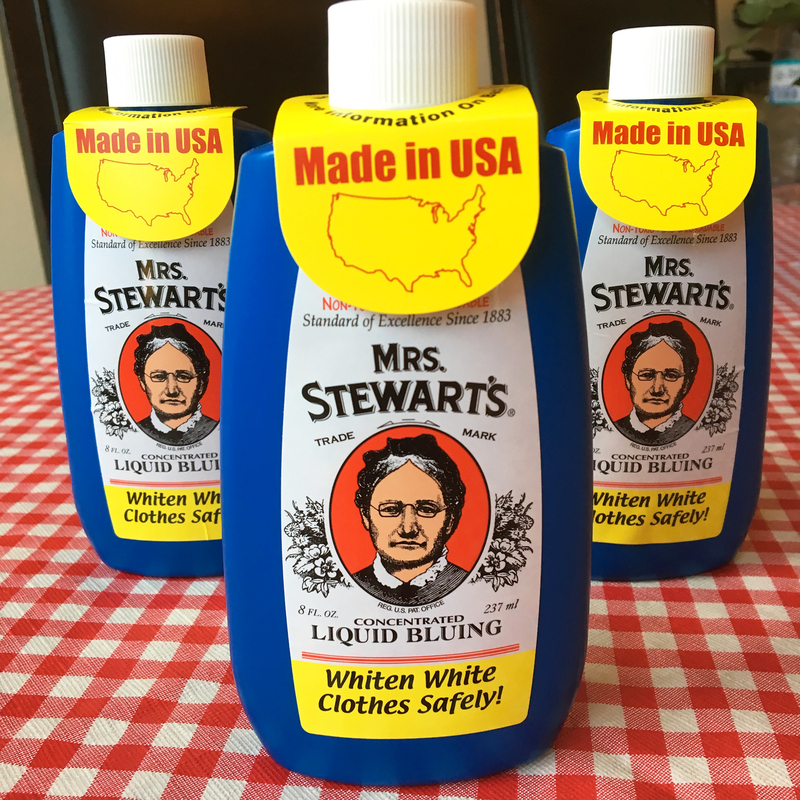 It was hard to find it here in Austin so I wound up ordering a 3-pack via Amazon … or you can order it directly from Mrs. Stewart’s website. I’m going to give it a “go” in the laundry as well! 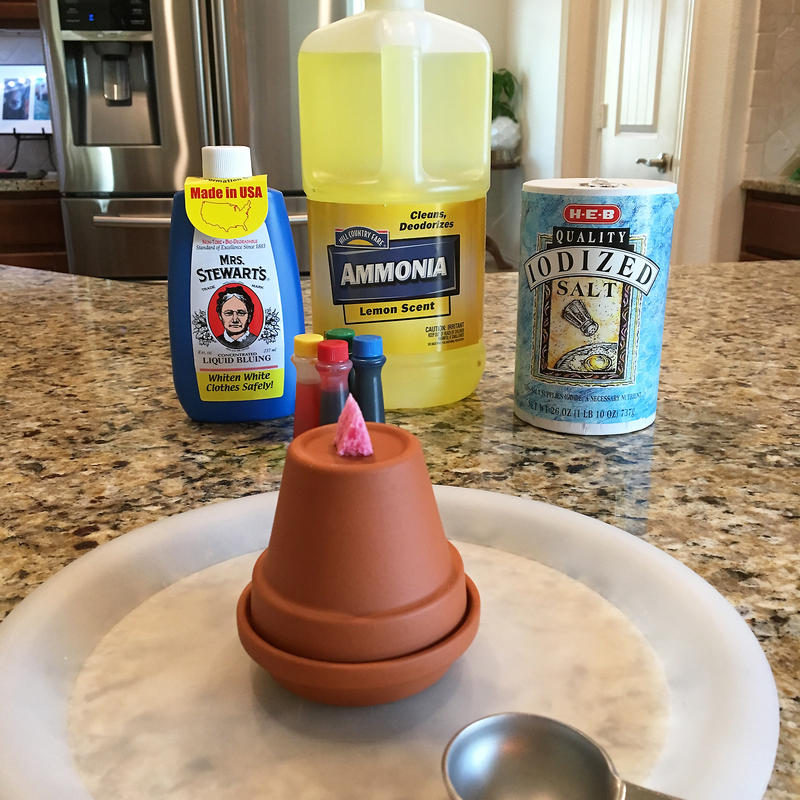 ❤ While Mom’s original recipe calls for brick or clay pot, you can use anything porous including coal, coke (fuel), charcoal, or pieces of sponge. I decided to go the clay pot route and thought I’d try my hand at fashioning a faux cake out of a mini pot and saucer I found. So I didn’t need the sponge cut into 4 pieces noted below, which were used for blotting. ❤ Do not use metal or tin containers – Do use glass or plastic! ❤ Do not touch your crystal formation or it will crumble. Step 1. If you’re using brick, blot it with a sponge to clean it. Otherwise, skip to Step 2. Step 2. 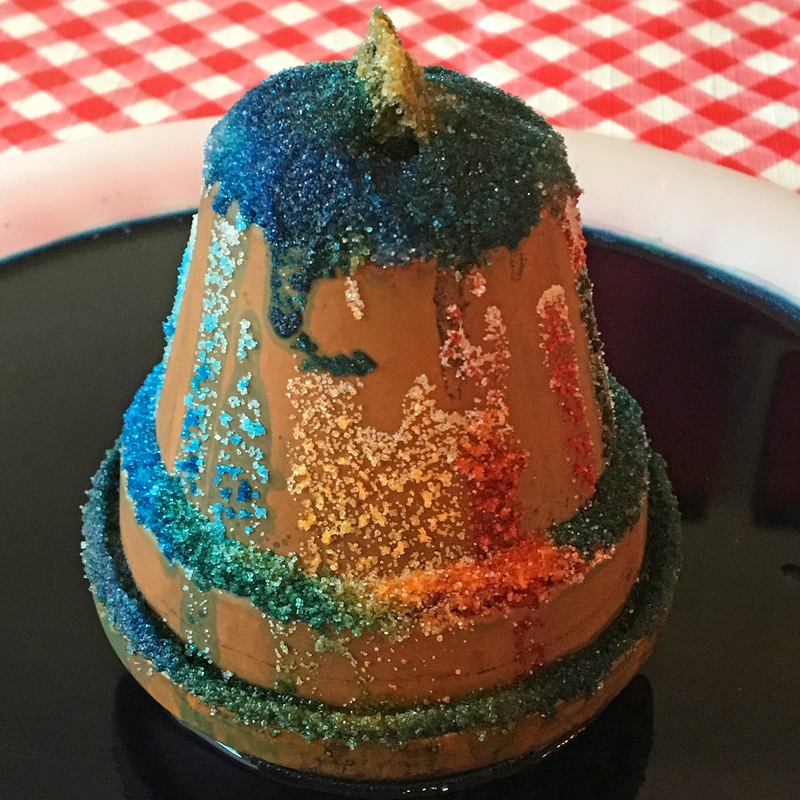 Drop food coloring onto your base – this will create the colors! Step 3. Mix together the bluing, ammonia and distilled water to make your solution. Pour this solution over your base material. Sprinkle your creation with salt. Mom’s recipe said it would take 6 hours to grow but I saw results in about 20 minutes. Step 4. To keep your garden growing you can add a little more ammonia. I read on Mrs. Stewart’s website to add more of the food coloring, solution and salt on Day 3, but experiment and adjust to your preference. Next time I’m going to use plain ammonia instead of lemon-scented ammonia which is all I could find at HEB. My crystal garden cupcake was a little “flat” side. I’ll make sure and post updated pictures! I hope you enjoy making your own garden as much as I did! 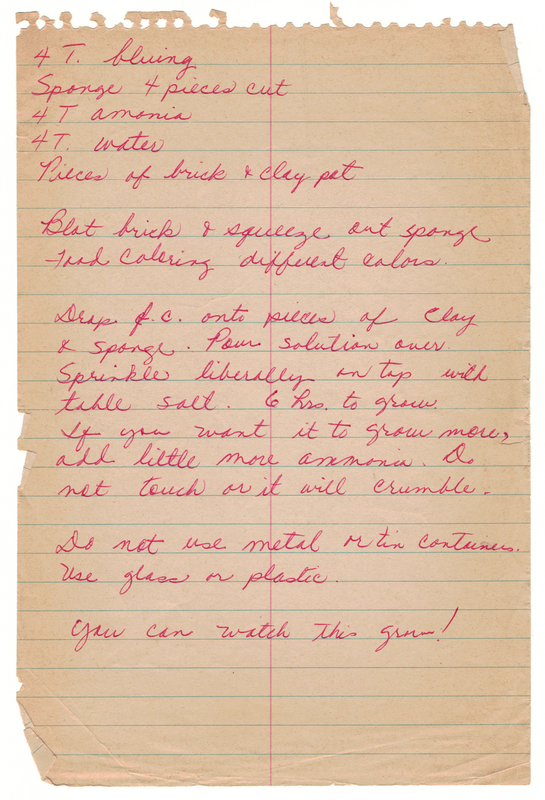 A scan of Mom’s original recipe for making a crystal garden! Funny how life sometimes just reconnects. This post is just the second vintage gardening tip I’ve made at Betty’s Cook Nook and yet it rings true to my home and heart more than 50 years later. Thumbing through Mom’s cookbook I decided to check out what was sprouting in her gardening section. I found the article (below) for what to plant in June. 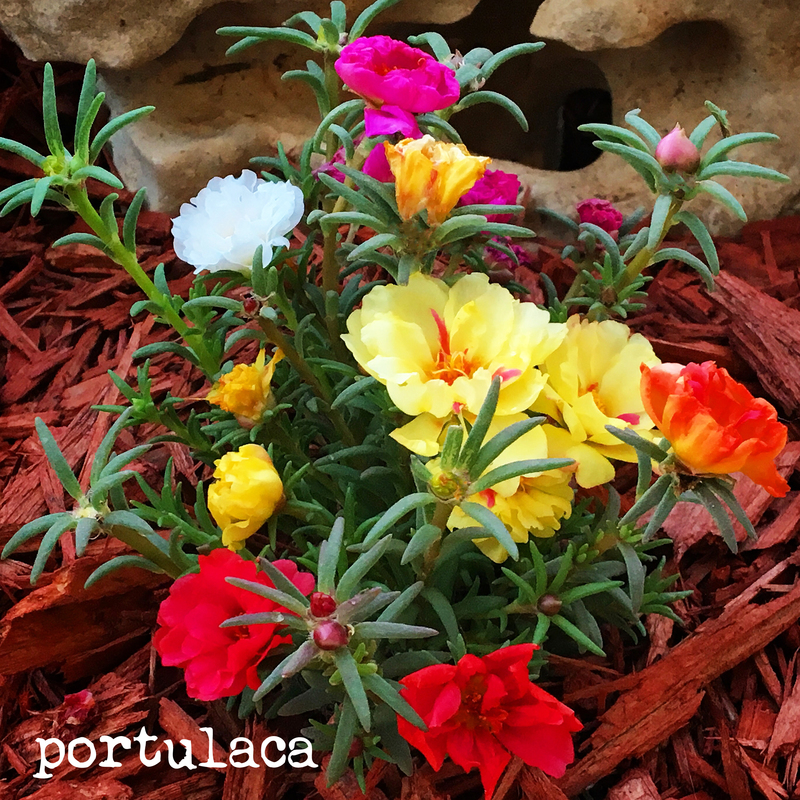 Some of the plant names I *do not* recognize (sorry, vincas, lycoris and fire bush) … but one resonated 1,000% clear because I just planted this recently discovered summertime favorite in my very own yard ~ PORTULACA! This plant is a voracious bloomer that makes every blooming hour a happy hour supreme. It’s a low maintenance Texas-lovin’ plant that will treat you to high impact awesomeness. Portulaca is referred to by many names like rock rose, moss rose and eleven o’clock. For me what’s most amazing is that when I read the June gardening tips in Mom’s cookbook I saw “portulaca” … yet 2 months ago I didn’t even know its name. ❤ My friend Amber who lives in Florida reminded me to finger snip off the blooms after their get-up-and-go has got-up-and-went. It encourages newer blooms. ❤ You can likely find Portulaca sold in solid colors like yellow and white. But for me the multi-color magic route is the way to go! 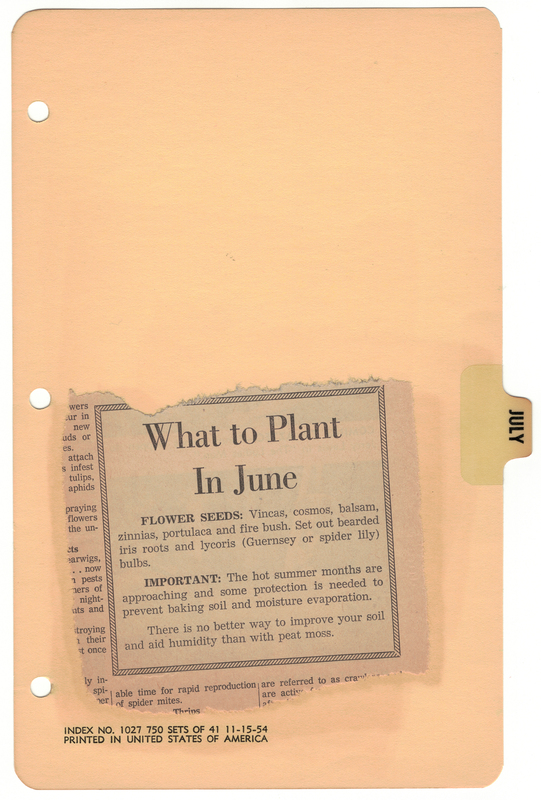 What to Plant in June: A snap from Mom’s cookbook. PS ~ Here comes July! My Mom “Betty” had many talents in addition to being a fabulous foodie. She loved crabbing at the Texas Coast, sewing her own clothes (and clothes for us), painting, and gardening. Mom’s black binder cookbook originated in the 1950s and its first contents were not recipes, but actually gardening tips! I decided to expand this cooking blog of her favorite food picks to include some of the gardening articles that she curated over the years. 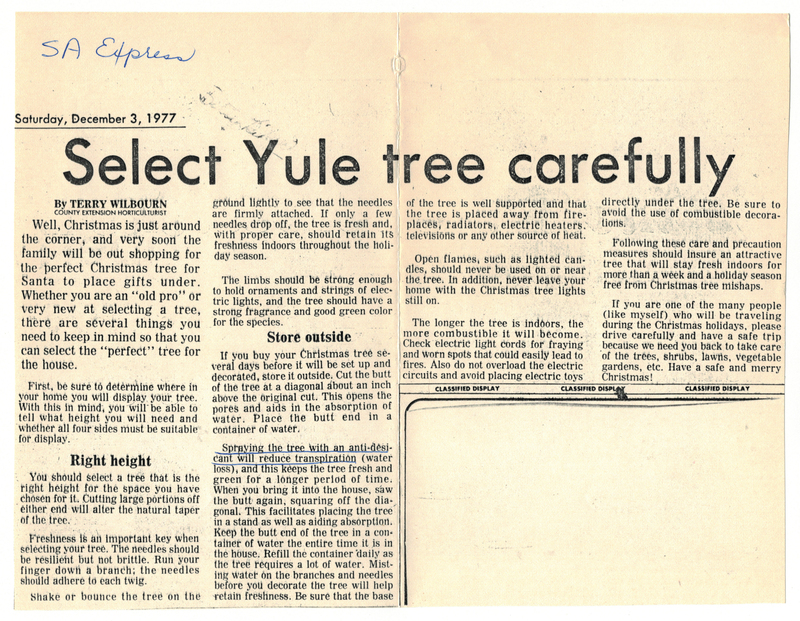 And what better way to kick us off than with some tips for how to care and feed for the freshest Christmas tree on the block?! Read the 1977 San Antonio Express-News article below for all the details! As soon as the Thanksgiving dishes were clean and safely stored away, all thoughts turned to Christmas. Each year we decorated the house with lighted garlands, hung white lights in our signature front yard mesquite tree, and we found ourselves spending more time sitting by the fire than glued to the television. The kitchen was usually rockin’ the house with wonderful smells. There was ribbon candy, a homemade gingerbread house and if we were lucky, divinity. Also dancing in the air was likely some Bing Crosby or voices singing “The Twelve Days Of Christmas” from a gathering of young and old around our player piano. No other holiday time accoutrement could possibly top the Kiker Christmas tree. We usually scouted for the perfect tree at Wolfe Nursery on San Pedro or the Optimist Club’s Christmas tree lot in Alamo Heights. Until the year when Mom and her great friend Joyce both returned from JCPenney with our first artificial Christmas tree ever (gasp! ), we had fresh green trees that were perfectly formed, full, and fragrant. My greatest childhood skill was my ability to run faster than the wind when Mom said dinner was ready. My parents greatest skill? 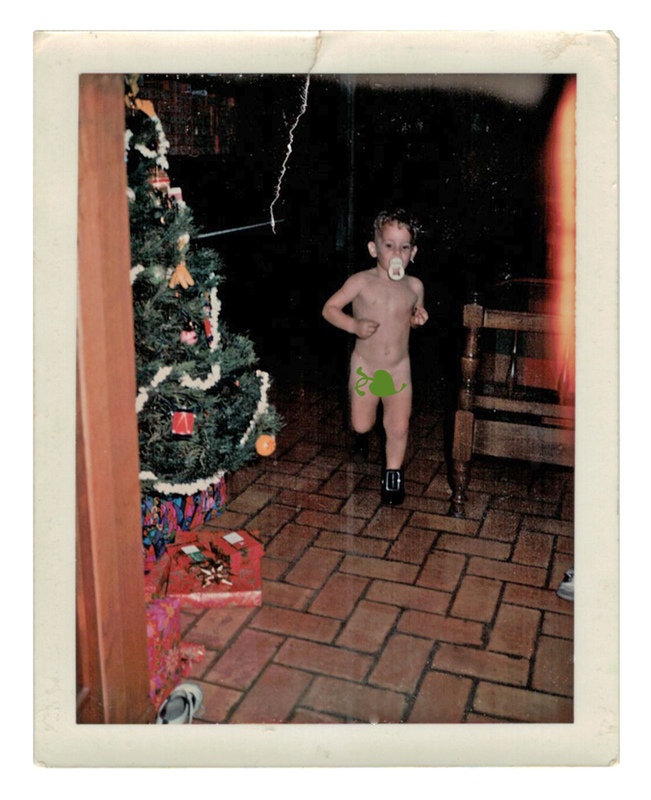 Always having the Polaroid at the ready whenever I was streaking in my favorite leprechaun shoes. Some years we strung popcorn. In my earlier years our tree was outfitted in tiny multi-colored lights. And as the years advanced we migrated to blue spruce trees adorned with what seemed like hundreds of shiny glass-blown ornaments set among all-white lights. I still have Mom’s green felt tree skirt that was turned into a Christmas tree skirt that she wore when she ice skated as a teenager. Her waist must have been no bigger than 20 inches! Today I’ve migrated away from live green trees to silver tinsel (shown in the video above). I find it cheaper, faster, and shinier than traditional tree trimming. But I do miss the smell of a fresh tree! We usually went to Christmas Eve midnight mass at St. Pius – something that was torture for a young kid who crept in and out of consciousness trying to stay awake only to count the seconds until morning would arrive and I could score the presents I “worked” and waited for all year to finally collect! If we were lucky Mom would let us open one present before we went to bed – it was never our grandest gift but something to wet the appetite … and more importantly to keep us (me) quiet. The next morning I was usually the first one up and I was salivating at the thought of ripping open all the presents I had been counting and coveting for weeks. Usually Mom’s Mom “Nanny” would drive over for “high-time” around 9 or 10 AM when things were in full force. Nanny would often bring her coconut ambrosia fruit salad and Mom would make a meal as grand as Thanksgiving. 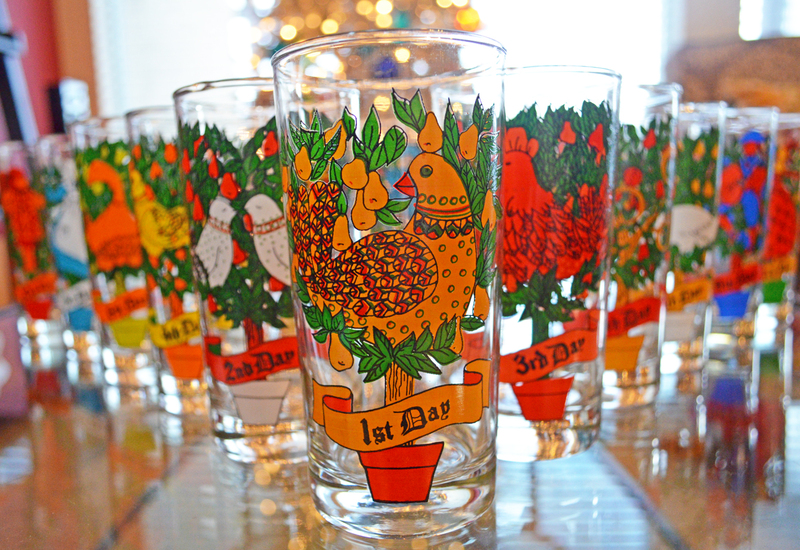 This was a time for the “good china,” as Mom called it. Life was plentiful and good. Christmastime Tip ~ Why not explore more of the Betty’s Cook Nook Blog by clicking this link. You’ll find more stories and recipes perfect for the happiest of holidays! 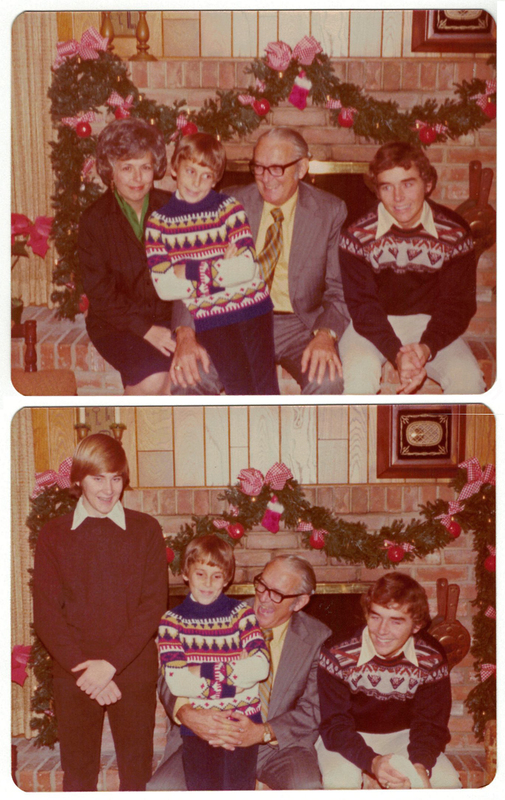 And check out our old family photos page where you’ll see me sitting on Santa’s lap on one the most frightful days of my life!